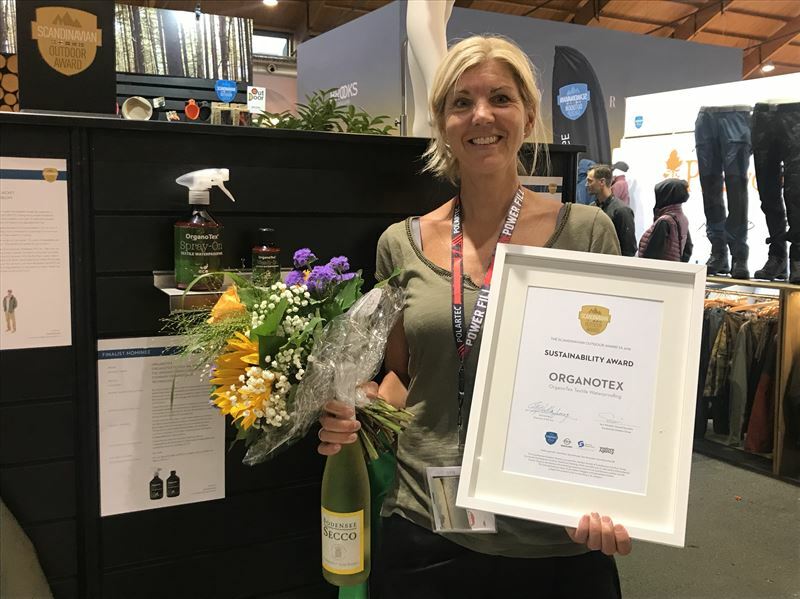 Every year, Scandinavian Outdoor Group hands out Scandinavian Outdoor Awards, at the international trade fair Outdoor in Germany. At this years fair in Friedrichshafen, OrganoClick’s new biodegradable and fluorocarbon-free textile impregnation for consumer – ORGANOTEX® Textile waterproofing, was awarded first price in the Sustainability category. A total of 20 products from Scandinavian outdoor brands have been nominated to the competition. Two winners are selected within the main categories ”Overall” and ”Sustainability” and recognitions are given to products within five sub-categories. The winners are selected of a jury consisiting of international outdoor journalists and outdoor experts which perform practical tests of the products during a field trip. ORGANOTEX® won the main category Sustainability for its biodegradable and fluorocarbon-free textile impregnation for consumers. ”We are very proud that our work with ecologically sustainable textile impregnations has been recognized by winning of the Scandinavian Outdoor Award. Our launch of ORGANOTEX® Textile waterproofing for consumers has been very successful, with Swedish Naturkompaniet as our first reseller. We are currently also in discussions with several brands about partnerships”, says Mårten Hellberg, CEO OrganoClick.